Our designer collection includes the latest in online fashion clothes, bridal dresses, fancy shoes and accessories. Whether you are new to the designer clothing or have had experience in buying before, you should find everything you need here. Our online site is a great choice for shopping designer dresses from Pakistan, because it brings an entire range of latest wear in front of your computer. Many fabrics like chiffon, georgette and silk are used with appropriate colors and patterns to provide a fresh appearance in the designer wear. One can easily update oneself about the latest trends. You just have to provide your sizes on our custom size page and leave the rest to us. Our website has all the fashionable Pakistani designer party dresses for USA, Europe, Australia and UK with free shipping option. The way we dress ourselves is a clear and most obvious expression of our personality. And a keen observer can guess everything about us by looking at our dressing styles. Fancy clothing trends evolve by relying on the choices of people in a particular area, their culture and ethnic values. Some designs may be native to an area and we can easily relate them to people of that location. Pakistani designers are always experimenting to create dresses that are comfortable and goes with the individual taste of each customer. They may also take into account the global changes in clothing trends. They are introducing new fabric cuts, neckline designs and innovative patterns of embroidery. Pakistan is a large producer of textiles, Cotton and Silks which are exported worldwide. Our aim is to showcase elegant Pakistani designer party clothes that are not only functional but also make you stand out in any party of function. We try our best to display dresses from all prominent designers in Pakistan so that you come back to our website for more. There is a humongous market for designer clothing for women world over. Salwar kameez is also getting popularity amongst the foreign customers. 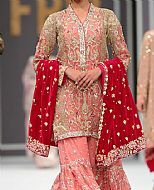 Designer Shalwar Kameez Suits are very popular in ceremonies and weddings. Designers use different fabrics and embroidery is normally done with resham, dabkaa, beads, sequins and diamantes. We have accumulated top brands of Pakistan and displayed their prestigious products on our online store, for you to have a one stop solution to your shopping needs. Our Pakistani Party dresses collection will make you look like a feminine charmer. Visit our blog about designer dresses for more details. If you plan to attend a party in the evening or going to a wedding function, you will certainly find a right dress for these events here. Most women will love flared evening dresses and Anarkali suits for their comfort and timelessness. One can find exquisite designer party wear and beautiful dresses in stunning designs on our online shop.